The effectiveness of your surveillance system is dependent on having not only the proper cameras but also the right security camera accessories to keep the various components in good working order. From protection from the elements to protection from thieves and vandals, our affordable surveillance camera accessories are just what you have been looking for to complete your security system. We have put together one of the most extensive selections of camera accessories for sale online, making it simple to find what you need. And our customer service staff is standing by to help you select the products that are right for you. When it comes to security cameras, accessories that help to protect your system from the elements are key if you are monitoring an area that's outdoors. We offer heaters and blowers that are compatible with a wide variety of different camera types to keep them warm enough in winter and cool enough in the summer. When temperatures exceed what cameras can endure, they will break down, compromising your security. The right security camera parts and accessories can help to keep this from happening, providing you with longer-lasting components and a longer-lasting security and surveillance system. Our extensive selection of surveillance accessories also includes camera bubbles and cages. Bubbles are perfect for ceiling-mounted cameras and can allow for undetected surveillance by hiding cameras from the eyes of those who are trying to avoid their gaze. Cages help to protect your valuable technology from the assault of vandals, thieves, and other criminals. We recommend that you make an investment in bubbles and cages, especially if your property is in a high-crime area, because they are invaluable for preserving your entire system over the long haul. Whether you need a replacement lens for one of your cameras or are looking to install a new system with the latest technology, you will be able to find the lenses you need among our security camera accessories. Couple a purchase of lenses with a cage or a bubble and you can be sure that your lenses will serve you well over time. 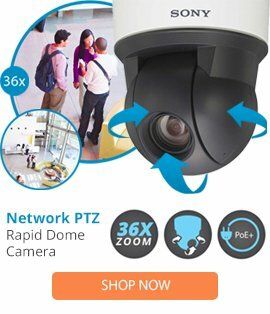 Our team of customer service experts can help you find the right lenses, interface modules, or other surveillance camera accessories for your particular security system needs at the lowest prices available. Order today!